L-R Max Kwan, Nicola Millward, Siobhan Goodacre and Louise Whittle. 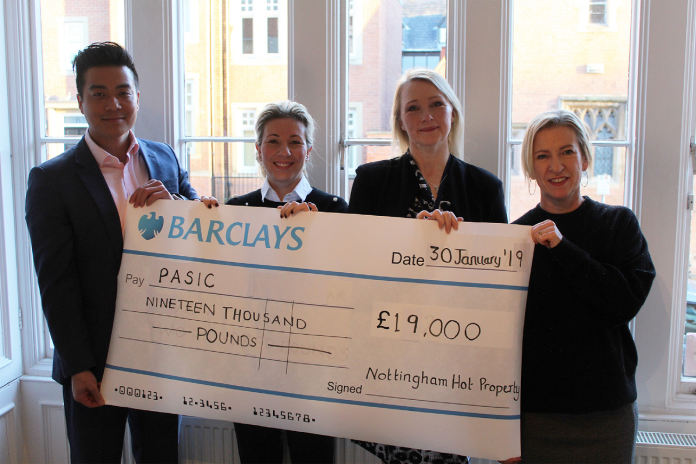 Lynne Farrage, PASIC chair of trustees, said: “The event was brilliant and we’re so grateful to Nottingham Hot Property for choosing us to be its charity of the year – everyone at PASIC has been blown away by the incredible amount raised. Nicola Millward, managing director at Millward, said: “We’re always blown away by the support and love people have for Hot Property and this year was no different. £19,000 is a staggering amount and the highest total we’ve raised yet!